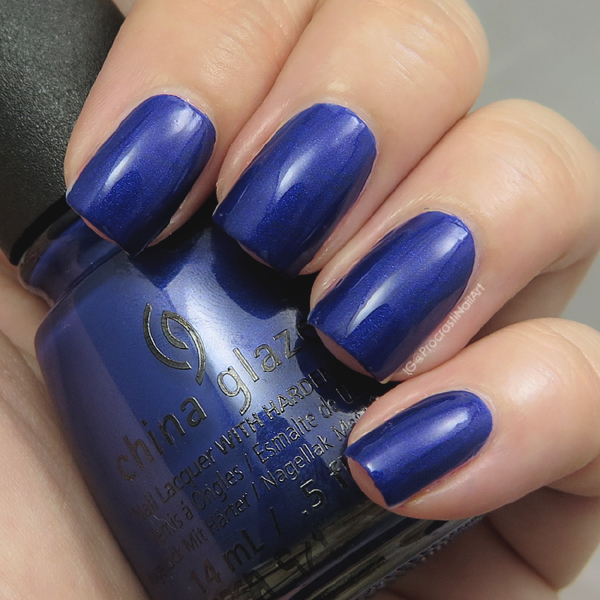 Anyway, today I'm sharing swatches of my favourite shade from the 2016 China Glaze Rebel Collection: Combat Blue-ts! 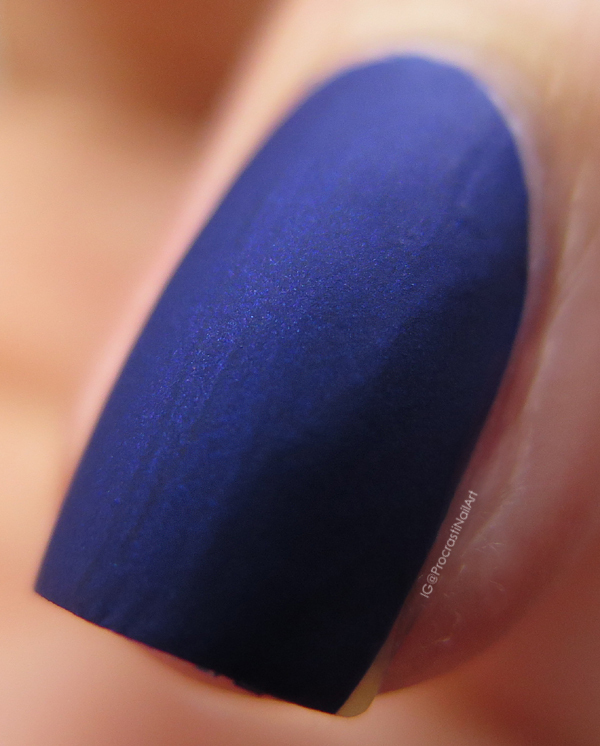 There is almost nothing I love more in the nail polish world than a good matte velvet polish, so the minute I saw swatches of Combat Blue-ts I knew I needed to have it! 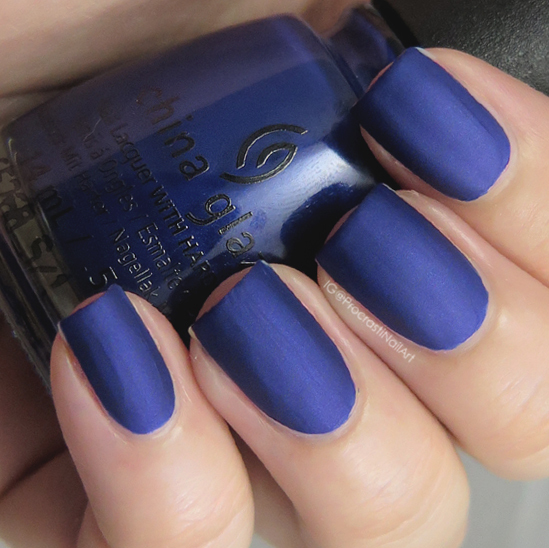 The polish is a deep navy blue matte velvet with a hint of shimmer, and it took two coats to build up to full opacity. Since it's matte and dries really quickly you have to be careful with your brush strokes, so I did my second coat a bit thicker and made sure to smooth it all down when it was wet so it would dry well. It dried really fast and I had zero issues with the colour bleeding when I painted it on. :) It really dries like a dream. I really think this is a polish I prefer matte, but the glossy does let some of that shimmer show through. I really wish I'd thought to take a macro of it with glossy top coat as I'm sure it would have been stunning, but oh well. :) Live and learn! I'm not super into mainstream polish but China Glaze has really been killing it. 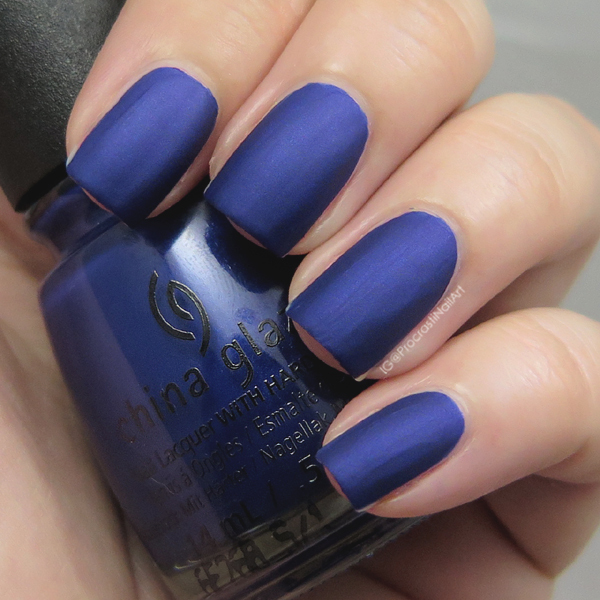 This is a fabulous navy matte! I have this one and love it! You do have to work fast but it's worth it! China Glaze really killed it with their Rebel Collection for fall, and this is definitely one of my favorites. I think I prefer it matte to shiny as well, although it is pretty either way.